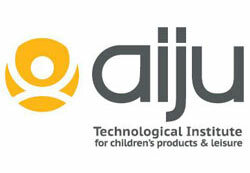 The Institute of Children’s Products and Leisure (AIJU) was founded in June 1985 with the aim of supporting the development of the toy industry. Today, AIJU has expanded its activity and has become a point of reference within industrial sectors of children products and leisure. The institute offers high technological value services to companies from different fields. Likewise, it develops R&D projects related to childhood and leisure, innovative materials, technical production processes, technological applications in the development of children’s products, therapeutic leisure for health, energy and sustainability, etc. IVACE, as the Regional Development Agency of the Valencian Region is committed to fostering innovation through cooperation and technlogy transfer in all major manufacturing sectors in the region, the plastic sector being a remarkable one of them. 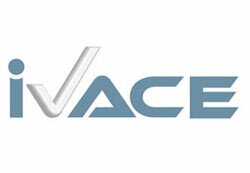 Overall infrastructure for technology transfer services is provided by IVACE as lead of the EEN Network for the regions of Valencia and Murcia . Furthermore, technology transfer projects are financed by IVACE via yearly issued schemes of grants and loans which are ESIF based. The Institut de Chimie de la Matière Condensée de Bordeaux (ICMCB) parent institution is the National Centre for Scientific Research (CNRS). Founded in 1995, the Institute for Condensed Matter Chemistry of Bordeaux activities include both fundamental and applied research and focus on 3 domains: Solid State Chemistry, Materials Science and Molecular Science. ICMCB has extensive expertise in design, synthesis, shaping and characterization of materials, with the goal to explore and optimize their functionalities. This wide scope and a large, complementary spectrum of methods available, generate fruitful synergies between our faculty (researchers, engineers and technical staff) – a key factor contributing to the outstanding reputation of the ICMCB. 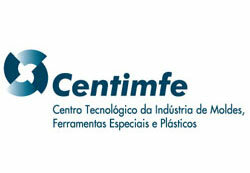 CENTIMFE, the Technological Centre for the Mould Making, Special Tooling and Plastic Industries, is a Portuguese non-profit organisation founded in 1991 whose main goal is to support the technological development of the mould and plastics sectors in Portugal. The organisation currently has around 200 associates and acts as the natural interface between the industry, mainly SMEs, and RTD entities, promoting technical, technological and training support to SMEs in key areas for the Tooling and Plastics Industries, developing R&D projects and providing added-value engineering and support consultancy services. Its technical intervention areas ranges from product and process engineering, injection moulding, additive manufacturing, processes reengineering, technology watch and intelligence, metrology, quality, ITs, Innovation and IPR management.